The WTO Agreement on Trade Related Aspects of Intellectual Property Rights (TRIPS) imposes on countries the compulsion to implement certain standards of patent protection, copyrights, trademarks and other forms of Intellectual Property. It is an agreement intended to enforce intellectual property (IP) rights globally. The Agreement has flexibilities which are handed out to the Least Developed Countries (LDCs) and those in near assemblage. LDCs are given policy space to overcome capacity constraints in the hopes that they will be able to develop a viable technological and legal base to start enforcing TRIPS. The issue to ponder about is who is this TRIPS meant to protect? Is it protecting the LDCs or the Developed Countries? The views I am trapping out there imply that the Agreement intends to protect creativity and the manufacturers so that they can expand their potential and motivate them in research. Then one would pose the question as to why then do we have organizations like World Health Organization (WHO)? Is this not their work? I stand to be corrected. We all know that the WHO mandate is to ensure that they work around research to formulate new vaccines and treatment for all sorts of ailments in abide to protect the member states from failed access to medicines as a human rights obligation to them. This is what the member states pay for in their assessed contributions. So the issue of lack of creative research to formulate cure should not be used as an excuse to protect the Developed Countries. Uganda among other Countries can only do so much but the situation is heading for worse stakes. There was a problem with the period of the last extension of TRIPS granted to LDCs of which Uganda is a member. It was set to expire on the 1st day of July 2013. Uganda and her contemporaries expressed dissatisfaction at the times set. The arguments fronted, highlighted the impractical time edge of 5-7 years set for LDCs. With the help of activists and health rights advocates around the globe, this was a battle that was vanquished. 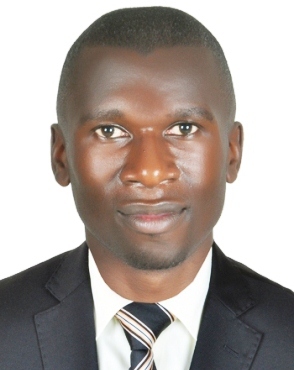 The least developed countries, Uganda inclusive need time to overcome the constraints preventing them from creating viable technological bases and Intellectual Property Laws . Owing from the above and superlatively speaking IP Laws are at a critical intersection in regard to the right to health in Uganda. The law inadvertently failing to realize that access to medicines is grossly affected by policy issues of an implied pull system other than the push system which involves requests for needed drugs at health centers made according to the demand. This has caused unwarranted access to medicines issues like drug stoke outs in the rural poor communities of Uganda. Looking at the Uganda HIV and TB incidences that are rampant with a massive reliance on the importation of generic drugs to meet the needs of the population, the IP Laws in Uganda are so muddled that they curtail the availability of affordable generic drugs in the country. Uganda as a nation would use a good training to the officers of the law in the IP section and also there is a need for increased materials on IP to be circulated amongst the health rights activists and advocates. The laws in more ways than one have interrupted with access through asphyxiation of the allowed IP flexibilities in Uganda today. Sometimes the problem arises from the misinterpretation of the IP laws by the officers of the law and corruption which has infested the system of law enforcement. Uganda being one of the poorest nations in the world today, has a lot to benefit from being protected from opening its weak economy to monopoly protections of IP-based multinational cooperation. Without these flexibilities, strict laws would thus inhibit the wide dissemination of generic medicines to populations here that need them the most. These laws would also render many essential public goods together with educational resources and green technologies unaffordable to the common man. In the nutshell the human rights related aspects of trade need to be treated with caution that they do not hurt right to health. All people by virtue of the fact that they are human, should have access to vital drugs for survival like antiretroviral therapy. The taunts stood by big pharmaceutical companies enforcing their patents in this side of the hemisphere with lots of LDCs like Uganda, should be halted lest the cause of an escalated infringement on human rights due to the lack of access to affordable healthcare. This needs to be done by engaging government for policy reform and eliciting support from other facets of civil society. Despite extension of the TRIPS flexibilities, there is still a lot of work to do. There is full need to create legal infrastructure around intellectual property law and speed up the process of overcoming capacity constraints by use of establishing a sound and viable technological base.